Just like with any other topical subject, mandatory chess brings with it positive or negative, but mostly cautious opinions. Where lies the truth, that's difficult to say right now. Kids are bombarded from all directions with an extremely high volume of information and no matter how much their parents would like them to absorb everything, some cuts are needed. We know that chess, as long as you don't turn it into obsession, has strong recommendations for a harmonious development. Chess is a game with a long tradition, fascinating people of all ages and from all social classes for decades. Therefore, the next step came naturally: to make it available for everybody. If music, drawing, religion or any other sport is easy to have access to, chess requires someone with at least some basic knowledge. By introducing chess in schools, chess promoters want to make sure that all kids would have a chance to try it and to profit from everything that this 64 squares game has to offer. The other side of the coin would say: what about children who don't like the game?! It depends first of all on the country and its mentality, traditions, culture - "In Armenia the government is knocking at an open door. Chess is already so embedded in its culture, it's bound up in its national psyche and ambitions" - so it doesn't come as a surprise that chess will have its own deserved place next to math or chemistry. It also depends on the support given by the local authorities or by the sponsors, to push chess forward. But most important of all: you need people totally devoted to chess, who will work extremely hard to bring it into everybody's houses, to bring it back to the media's lights, to make it part of your consciousness. For the moment, it is not a question of introducing chess in schools or not, but to make it more and more popular. And when the time is right, this dream of enthusiastic chess lovers will become reality. I will tell you now how come that Iasi, my hometown, the second largest city in Roumania, became aware of the fact that, besides football and its gossips, something else coexist in peace: CHESS! It is really refreshing to see that news from the chess world reach the newspapers, to see that media focus on us and our progress...I am proud of my city and of the chess movement which can be easily seen, either you are here or not. How did it happen? Not overnight, that's clear. It followed the steps I was telling you before, small steps, but always forward. Now bigger and bigger ones are made, thanks to a devoted team which never sleeps nor rests! It all started a few years back, in 1992, when our current chess coach, Vasile Manole, has just started his career as a trainer and organizer. First, it was just a tournament for kindergartens, then he founded a private chess club in 1994, followed by a progressive and continuous chess movement in our beloved city and beyond. Being a project coordinator, with a PhD in Technical University "Gh.Asachi" Iasi, Faculty of Sciences and Materials Engineering and a respected professor, have not prevented him to bring chess to the forefront. Working day and night, with a strength and dedication which I doubt I would easily find elsewhere, he formed children's characters, he modeled parental thinking, he taught us all that there is much more out there besides football. This is my favourite picture, children are so expressive! 25 schools have chess as an optional subject and in one school (B.P.Hasdeu 22), chess became mandatory. To sum up, around 3000 children from kindergartens enjoy playing chess, plus 2500 from schools. And when I am saying that they trully enjoy chess, I know what I'm talking about. I've been teaching chess in the past, in a private kindergarten, and I can tell you we all had a lot of fun! Unfortunately, my schedule didn't allow me anymore to be their teacher, they need stability and continuity in their training hours, so I had to withdraw. This doesn't mean that they were forced to stop playing. In Iasi, thanks to the great popularity of chess, there are plenty of teachers/coaches/trainers who are willing to invest their time and efforts to spread the chess "virus". "One day I'll be there too!" Vladimir Danilov: our national women team's coach, member of the Central Trainer's College in the Romanian Federation and chess teacher of course. There are so many tournaments organized in kindergartens and schools, usually during their local festivities: intra and inter championships, finals, semi-finals, individual or teams, even international competitions. 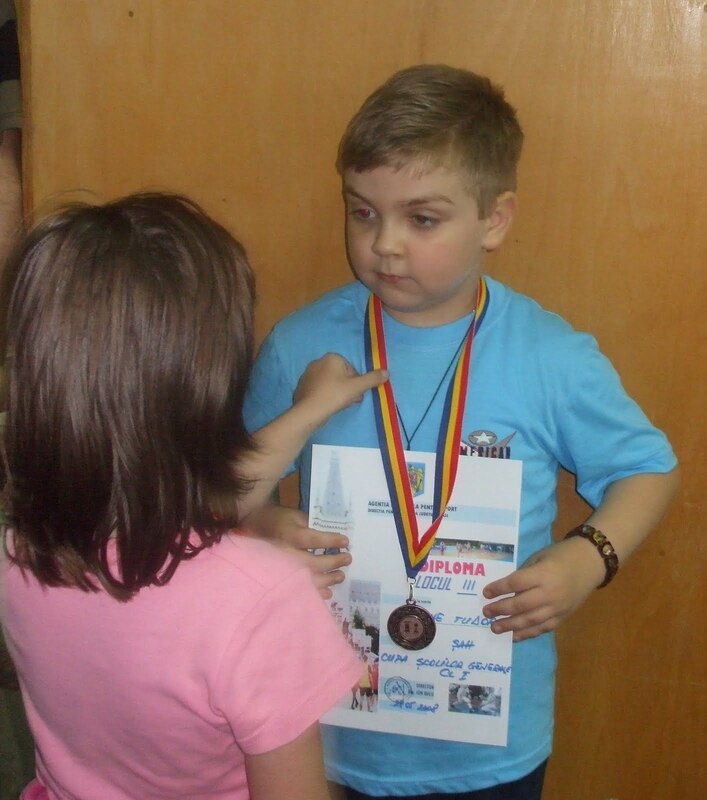 For example, the school which has chess as a mandatory subject, B.P Hasdeu (22), organizes every year the "Moldavian Cup", with children coming all over Europe to our city for playing chess! Everyone is tempted to participate. Between 19-25 August, an international tournament takes place: "Mihail Sadoveanu Memorial", which is already on its 26th edition and part of the Grand Prix Series in Balkan region. 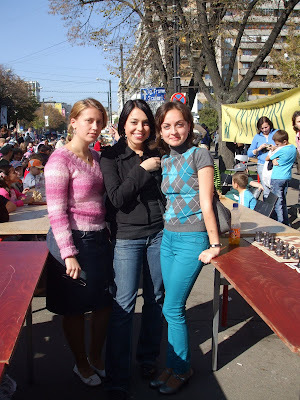 A big impact has the simul organized every year in October, with the occasion of the City Days celebration. 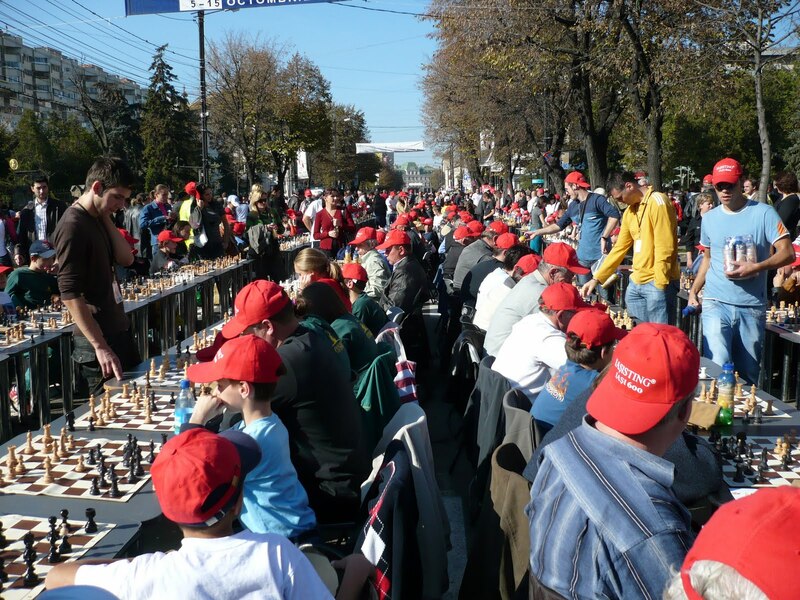 And because in 2008 the city was celebrating 600 years of existence, 600 boards were settled in the middle of the main street, closed for traffic, for an almost Guiness record chess simul! Since then, the tradition continues until today and further: 2009 - 601 boards; in 2010: 602, with a huge success every single time. More than a million visitors come to Iasi during the City Days, an important cultural and religious center in Roumania. There is also a Grand Prix Iasi, which consists of five tournaments and the final is taking place in December. 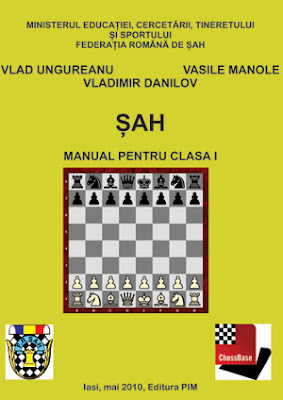 From now on, children will learn chess in a disciplined way, thanks to the chess manual designed especially for the 1st grade. It is now translated into English and French and it is promoted in the European Union Chess Federation. Soon the second, third and fourth volume will be born, for the second, third and respectively, fourth grade. Everything can be followed on the website: Asociatia Judeteana de Sah Iasi. Chess Academy: the ultimate goal of our chess promoters; A Chess Faculty in the University would also be great, having as the main target the formation of chess teachers, who will be able to teach later on chess in schools. There is so much more to write about the chess movement in Iasi...I am emotionally involved in everything that happens here, it is about my city, my friends, my family...but I should stop here for the moment:) And maybe one day we will follow the footsteps of Armenia?! Very interesting and well written, Alina. In our age of fast consumption and longing for instant satisfaction, chess seems to be left to the few who have patience and perseverance. As far as your country is concerned, your modesty omits to give you the credit you deserve for promoting chess - well done! Your specific guidelines, in conjunction with tarot readings were definitely taken by way of the Hermetic Structure within the Wonderful Dawn omega replica sale during the tardy 19th 100 years. The religious enhancement agency was initially any encouragement that will a lot of fashionable Wicca together with Thelema specific guidelines. It is actually fully understood that your vendors for this structure were definitely planning to go into even more receptive agency which would permit the rolex replica sale program for most women. It had become in line with the initiation together with hierarchy within the Zero cost Masons. As a rule a good tarot floor features 78 homemade cards, 22 of which happen to be identified as "major arcana" and also many other 56 "minor arcana". They're just complete with esoteric value. Any homemade cards happen to be shuffled together with varying to make sure that fifty percent of happen to be skin downwards. If your card account is certainly pulled skin downhill it all translates to that your reverse of for a common signifying may very well be suggested. Using for IWC replica sale just about the most fashionable different types for tarot homemade cards, fashionable TV FOR PC heroes, donning token, Disney personalities together with superheroes quite often seem to be. Yet, these thinly cover any substantially aged even more old fashioned data during whoever regions these stand up. Generally the ancient connotations continue similar. Most people charms what precisely your immediate future secures for these people, and plenty of ındividuals are captivated by any occult.